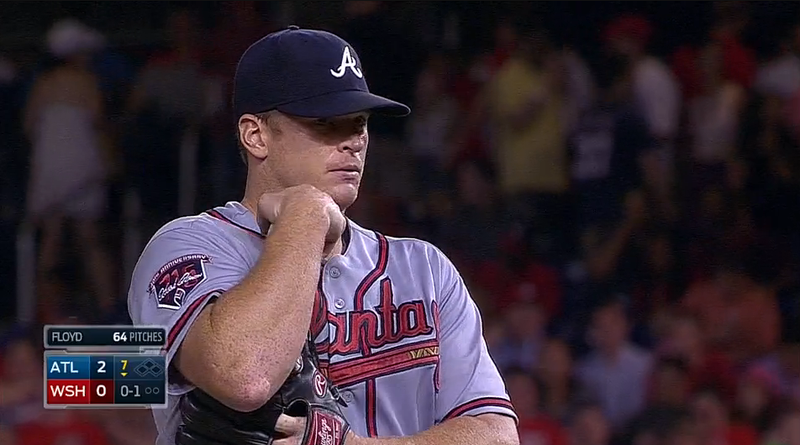 Do you see that bump on Gavin Floyd's elbow? That's not supposed to be there. 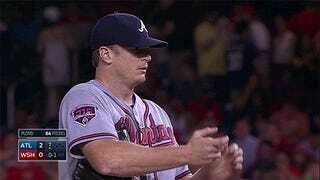 The Braves pitcher left tonight's game against the Nationals in the seventh inning with an injury to his pitching elbow. The concerning part: Floyd had Tommy John surgery on that same elbow last year. The official report from the Braves' Twitter account is "posterior swelling of his right elbow." Floyd had X-rays taken and saw the Nationals' doctor. There will likely be more to this.